Firbeck is a village in the metropolitan borough of Rotherham (part of South Yorkshire, England), on the border with Nottinghamshire, it is near Maltby. 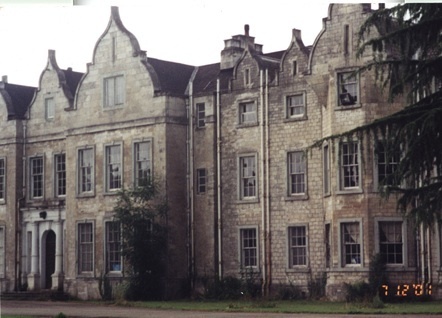 Firbeck Hall, goes back to possibly 1560 and was first owned by the first Queen Elizabeth. Throughout the centuries, Firbeck was owned by several families, including my own, the Gally Knight family of Langold, Yorkshire, for quite awhile. CONCERN is growing over the future of historic Firbeck Hall which local history and conservation groups fear could be razed to make way for housing.. The hall has stood empty and unused for several years since it was bought by local construction firm boss Glen Saint. Since then no plans have been released for its future use—giving rise to local speculation. The Advertiser tried unsuccessfully to contact Mr Saint, who in the past has come in for criticism for failing to complete a housing development in the picturesque village of Harthill. The luxury homes have stood empty and unfinished for 18 years—and have now been slammed as an eyesore by local people. Roy Newman, chairman of both the Laughton and District Conservation Society and the Dinnington History Society said he had serious concerns for the future of Grade 2 listed Firbeck Hall. "At the moment the hall is in fairly good nick but it needs a lot of money spending on it," he said, "and there seems to be no plans for its future. "Frankly the fear of people in Firbeck is that the the hall could disappear in one way or another. It's a wonderful building, but someone could make a lot of money if it was not there and the site was available for housing." A council spokeswoman said: "This is a Grade 2 listed building, which means it is one of the most important in the Borough, and which at the moment is watertight and secure. "We will be looking at it as part of a Borough wide survey of the condition of older buildings. As for the future, that is a matter for the owner but they will have to comply with Grade 2 listed conditions. So how can this wonderful building with so much history be allowed to fall apart? The current owner has no desire to sell it or fix it up. How can anyone own a building that old, in fairly good condition, and just sit and watch it rot? No one seems able to do anything to stop it. What a tragedy for a historical Grade 2 listed building well worth saving. Now all I need is a winning lottery ticket and a few thugs to convince the developer to sell it : ) Kidding of course.